Are you seeking out the best WordPress plugins for marketers? Whether you’re new to marketing or an old pro, having the right set of plugins can up your game and increases your chances of success. From building killer landing pages to perfecting your SEO, we know exactly what tools you need. That’s why, in this article, we’re going to share the 18 best marketing plugins for WordPress. Get your clicking finger ready, because you’re going to want ALL of these! If visitors are leaving your landing pages immediately, never to be seen again, then OptinMonster is the plugin you need. It’s number 1 on our list of the best WordPress plugins for marketers for good reason. Get ready to kiss your high bounce rate goodbye! With its patented Exit-Intent® Technology, OptinMonster shares an eye-catching optin form right as visitors are about to click out of your website, converting them into subscribers, customers, or followers. OptinMonster lets you create stunning optin forms that you can easily connect with your favorite email marketing service or CRM software, making it the absolute best lead generation tool on the market. This plugin will lower your bounce rate, increase your user engagement, and send your email subscriptions through the roof! Every website needs a contact form, especially if you’re marketing something. So why not use the best contact forms plugin on the market? WPForms allows you to effortlessly create contact forms with its intuitive drag and drop builder. Your customers will be able to contact you with ease. Mobile-friendly and completely responsive, WPForms looks picture-perfect on every device. You can insert your forms on posts, pages, and any widget-ready areas of your website. In addition to contact forms, you can create custom user registration forms, surveys, polls, and much more! Every savvy marketer knows the value of Google Analytics. But did you know there’s a plugin that puts Google Analytics directly on your WordPress Admin dashboard? That plugin is MonsterInsights. With MonsterInsights, you can harness all of Google Analytics’ power right from your website’s backend. You can track user engagement and view in-depth reports without ever having to leave your own site. Why wait to capture leads? With Coming Soon Pro by SeedProd, you can create attention-grabbing coming soon and maintenance pages that allow you to gather subscribers before your website even goes live! This plugin is a “must have” and absolutely one of the best WordPress plugins marketing plugins. In addition to subscription forms, it also features a countdown timer, social sharing options, referral tracking, and so much more. It also comes with a variety of addons for building stunning landing pages or creating multilingual pages. Get Started with Coming Soon by SeedProd Today! Optimize your website’s earning potential by cloaking your links via the ThirstyAffiliates plugin. It’s perfect for any site, but works especially well if you have a blog. ThirstyAffiliates has everything you need to manage and organize your vast number of affiliate links. You can also choose to link certain keywords automatically. You’ll get statistic reports as well as notifications for 404 errors. ThirstyAffiliates makes it easy to plan your next marketing strategy. Want more information? Read our ThirstyAffiliates review! Get Started with ThirstyAffiliates Today! If you’re running a blog, Revive Old Posts is an essential plugin. Don’t let your older blog posts go to waste. They still have plenty of marketing juice! With Revive Old Posts, you can automatically share your older blog posts on your social media outlets, keeping them in circulation. Once you set it up, it does the rest of the work for you. It’s the perfect way to stay consistent and relevant online. Don’t let the price fool you. This 100 percent free plugin is premium quality, and is one of the most popular social sharing plugins on the planet. It’s lightweight and optimized for speed. Plus, it’s beginner-friendly and incredibly easy to set up and use. We love Floating Social Bar because it doesn’t get in the way of your content. It sticks to the top of the page as visitors scroll down, keeping it in plain sight without being obnoxious. It integrates with Twitter, Facebook, Google+, LinkedIn, and Pinterest. 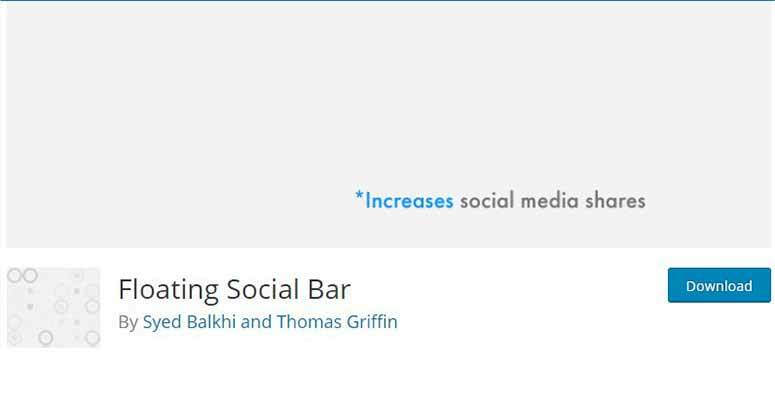 Get Started with Floating Social Bar Today! As one of the very best social media plugins on the market, Shared Counts is also one of our picks for the best WordPress marketing plugins. It’s GDPR compliant and allows you to add social media sharing buttons to your posts and pages with ease. You can choose whether or not to display share counts, or even display counts for some visitors and not for others. It’s very flexible. Plus, unlike other social media plugins, SharedCounts is speed optimized and won’t slow down your site! Search Engine Optimization (SEO) is a boon for some marketers and a bane for others. Even marketers who enjoy the benefits of SEO don’t always enjoy doing it. And those who don’t understand it tend to absolutely hate it. Thankfully, Yoast SEO is here to save the day! Even if you loathe the tedious nature of SEO, or don’t understand it, Yoast SEO makes the process hassle-free and incredibly simple. It’s a plugin every marketer needs on their websites. As the world’s best SEO plugin, Yoast SEO is full of amazing features that go beyond simple tags and meta description boxes. You’ll be asked to choose a focus keyword upon starting, ensuring that your entire post can be optimized, not just your meta data. And the grading system makes it easy to tell when you’ve done everything right. Have you ever wanted to run A/B Tests on your titles? Now you can! Title Experiments Free is, as the name implies, perfectly free from the WordPress plugin repository and allows you to experiment with your titles to see what gets the most engagement. It’s insanely simple to use and will ensure you ultimately choose the best title for you articles. Get Started with Title Experiments Free Today! Manage your self-hosted banner ads and network ads with AdSanity. AdSanity’s interface is beginner-friendly and you’ll be able to create ads in a snap! Want to know more? Read our full AdSanity review! Get Started with AdSanity Today! Gorgeous images are a part of good marketing. Envira Gallery gives you the ability to display those images in eye-catching new ways. With a built-in drag and drop system that’s easy to use, Envira Gallery lets you select, arrange, and label your photos with a couple clicks of your mouse. You can also watermark your images, add videos, and create custom social sharing buttons. Want more information? Read our full Envira Gallery review! Get Started with Envira Gallery Today! One of the best WordPress page builder plugins, Beaver Builder allows you to effortlessly create landing pages without any coding skills. The drag and drop interface lets you mix and match widgets, content blocks, and other advanced elements. With dozens of templates to choose from, you’ll be ready to rock in mere minutes. Simply add your own content and get ready to make some sales. Want to know more? Read our complete Beaver Builder review. Set up product pages by importing affiliate feeds or create automatic blog posts with ease thanks to WP RSS Aggregator. This nifty little plugin packs a punch and makes fetching content from Amazon and other affiliate networks a snap. 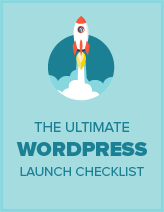 Definitely one of the best marketing plugins for WordPress available today. Get Started with WP RSS Aggregator Today! Compress your images with reSmush.it without compromising their quality. This plugin ensures that even the most tantalizing images won’t slow down your website’s speed or take too long to load. For even more convenience, you can optimize image files in bulk. And you can even optimize images you already used on older posts and pages! If you’re a content marketer running a multi-author blog, Edit Flow is a plugin you’ll want. Edit Flow lets you set up your blog to add custom post statues, leave editorial feedback for your bloggers, and manage an easy-to-use editorial calendar. It’s a great plugin to make sure you stay on schedule and update consistently. Automattic’s Polldaddy allows you to create highly interactive quizzes to engage your site visitors with. You can add images to your quizzes, or even embed videos from YouTube. As a marketer, you’re bound to appreciate its in-depth reports of your site visitors’ engagement. Plus, you can export those reports in pretty much any format you desire, including CSV, PDF, Google Docs, and XML. Get Started with Polldaddy Today! We all know nofollow tags are great for external links. Unfortunately, by default, WordPress doesn’t allow you to use them. That’s what Title and Nofollow for Links is for! With this plugin, you can quickly add title and nofollow options to your WordPress’ insert link popup. Whenever you hyperlink something in your posts or pages editor, the option will show up. Add in your tags with the click of your mouse! We hope this article helped you discover the best WordPress plugins for marketers. If you enjoyed this post, you might also like our comparison of the best email marketing services. Fantastic selection ! Two of them will really be very useful for me and I did not know them! Thanks a lot for sharing it !